CORPUS CHRISTI, Texas — In a historic decision during its meeting in Biloxi, Mississippi, this week, the Gulf of Mexico Fishery Management Council unanimously gave state fisheries management agencies like Texas Parks and Wildlife the responsibility to manage harvest of red snapper in the Gulf of Mexico. State management will begin with the 2020 private recreational red snapper season. Anglers will likely see fishing seasons similar to what they experienced in 2018 and 2019. 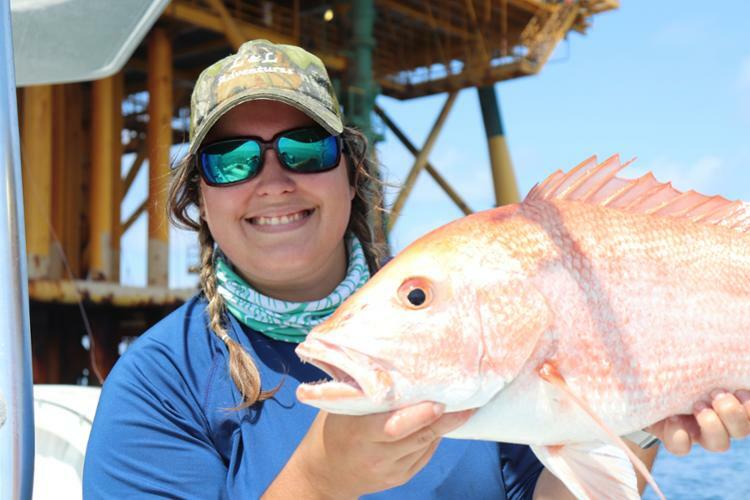 The Harte Research Institute for Gulf of Mexico Studies (HRI), at Texas A&M University-Corpus Christi is playing a key role in providing the science and policy basis for this historic change to red snapper fishery management. In addition to leading the largest ever recreational fisheries research project, a $12 million federal grant through the National Oceanic and Atmospheric Administration focused on assessing the Gulf-wide populations of red snapper known as “The Great Red Snapper Count,” HRI scientists have worked with experts across the country to ensure that the management of sport fishing is based on sound and responsive policy. In 2014, HRI Senior Executive Director Dr. Larry McKinney led the Morris-Deal Commission, producing the report “A Vision for Managing America’s Recreational Fisheries,” which outlined a prescription to not only recover overfished populations of sport fish, but do so in ways that minimized economic harm to coastal communities like Port Aransas, Texas, and maintained angler access to these species. The report and subsequent testimony before Congress was the driving force in passage of the Modern Fish Act, which President Donald Trump signed into law on Dec. 31, 2018, with near unanimous bipartisan support from Congress. Sportfish management in the Gulf of Mexico has been a central focus for HRI. McKinney established the Center for Sportfish Science and Conservation (CSSC) at HRI in 2012 and immediately appointed HRI Fisheries and Ocean Health Chair Dr. Greg Stunz as its director. It is the only entity of its kind in the world and is a hub for scientists interested in marine fisheries research focused on the many challenges that come with maintaining healthy sportfish populations and helping to ensure the most informed decisions are made regarding this multibillion-dollar industry. Stunz was appointed to the Gulf Fisheries Council by Texas Gov. Greg Abbott in 2014 based on his expertise in sport fishery management science. Together HRI and the CSSC will continue to work closely with all stakeholders on sportfish management and policy to ensure that the scientific base for fisheries management decisions remains current and progressive.